If you have one AmEx Cobalt Card, you should check your email box. 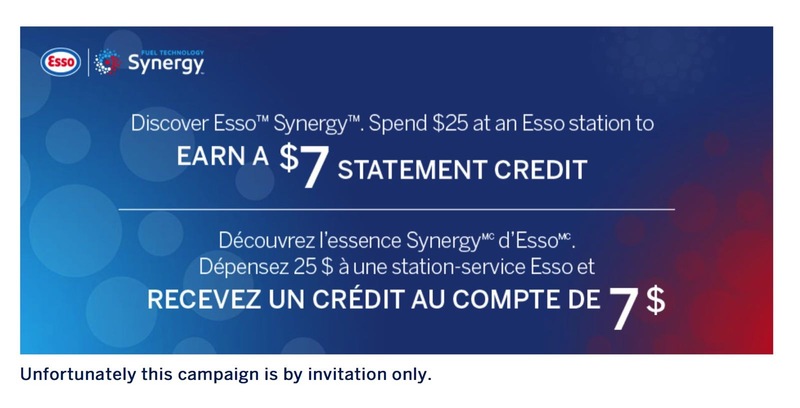 You may find an offer from AmEx that when you spend $25 at an Esso station, you will earn a $7 statement credit. This offer is targeted and online registration is required. Note: only the first 10000 cards to be successfully registered will be eligible for this offer.